Summer Daze Mandala is a design developed from a dream. For six (6) years, this shape has been patiently waiting to share its beauty with the world. 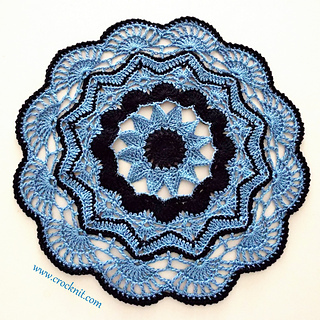 With this mandala pattern, you can make up to five (5) different mandalas, depending on where you stop! YARN ALTERNATIVES: Any cotton DK. Always check Yarnsub website for the best match. NOTIONS: 4mm hook; Yarn needle. 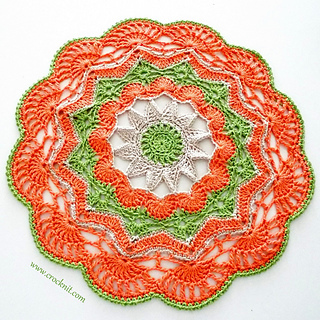 PATTERN NOTES: You need to know how to crochet in the round. Instructions in this pattern are for a three (3) colour mandala. READ more about this pattern in my blog MiCrocknit Creations.